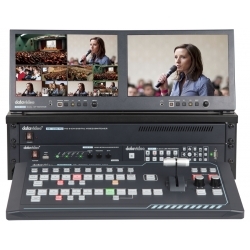 The Go 1200 Studio is a small, live production rack containing all the required devices for a multi-camera production. 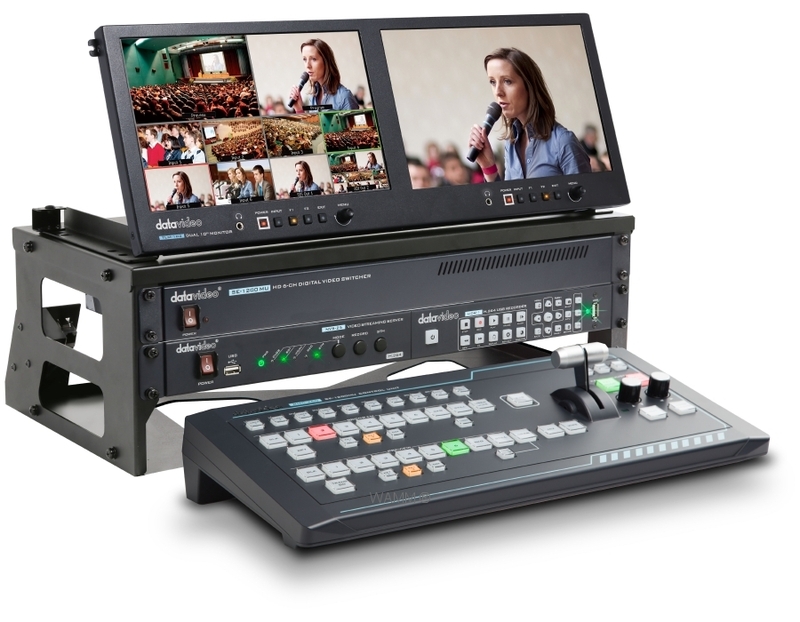 The Go 1200 Studio includes a video switcher with four HD-SDI inputs, two HDMI inputs, chromakey, luma key, and PIP. 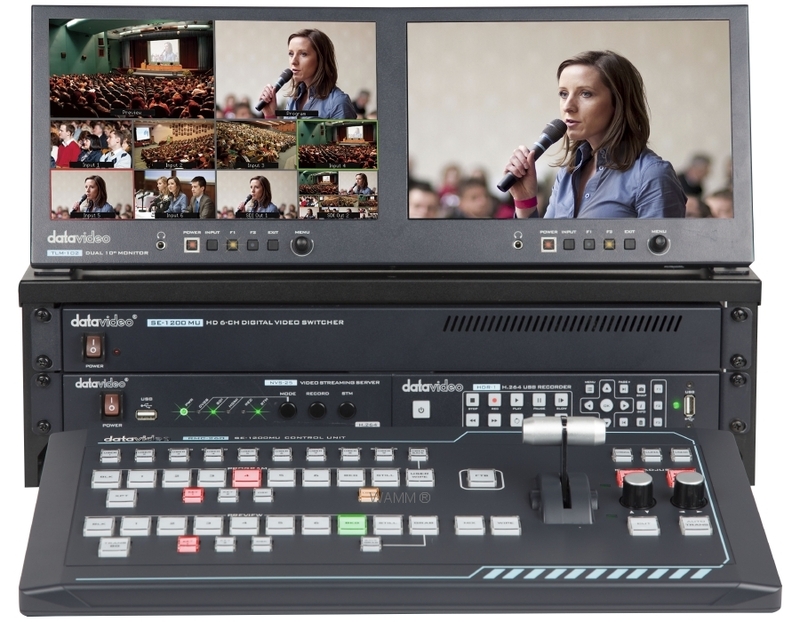 The setup also includes a dual-screen monitor, streaming encoder, and USB recorder. 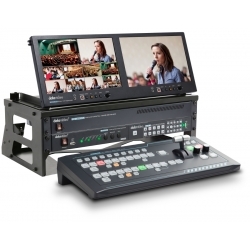 These devices are racked and packed into the included case, making your production both professional and mobile.